When a loved one passes away their Facebook account can have real value for family members left behind. There may be numerous photos, videos and moments from the deceased’s life, captured over the years, that the family wants to be able to access thereafter. Often, the photos and videos on Facebook don’t exist elsewhere. Having access to these can help with the grieving process and in remembering the deceased for family and friends. However, many people are not aware that Facebook has a memorialisation feature that can be activated once someone has passed away. Funeral directors can assist to make families aware of this feature and easily help families to memorialise their loved one’s Facebook account. 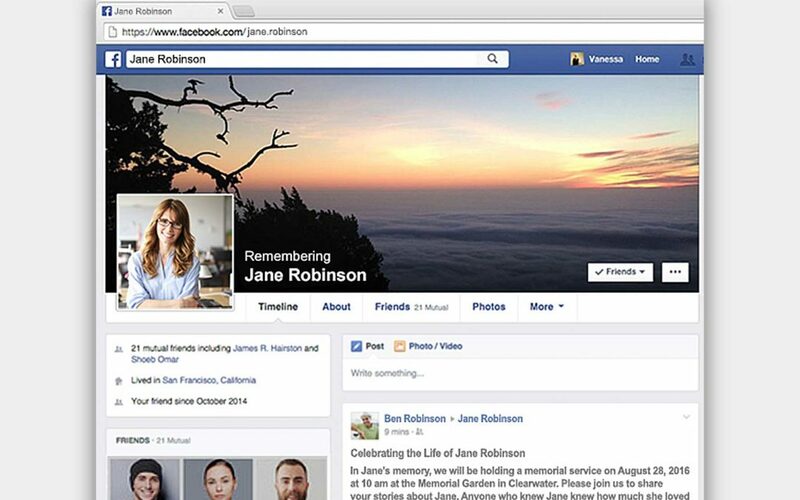 What are the benefits of a Memorialised Facebook account? The word ‘Remembering’ will be shown next to the person’s name on their profile. Depending on the privacy settings of the account, friends can share memories on the memorialised Timeline. Content the person shared (eg: photos, posts) stays on Facebook and are permanently visible to the audience it was shared with. Memorialised profiles don’t appear in public spaces such as in suggestions for ‘People You May Know’, ads or birthday reminders. No one can log into a memorialised account, so it becomes permanently secure, and an enduring online tribute. How can funeral directors help? Advise families that their loved ones’ Facebook accounts can be ‘memorialised’. Explain the benefits of a memorialised account. Direct families to this Facebook link where their memorialisation request can be made. Suggest this link for further reading for families about managing a deceased person’s Facebook account.